So it’s publication day at last for my third novel, Stand By Me. Hooray! It’s always very exciting – and a little nerve-racking – when your book is released into the wild. Do let me know if you enjoy it, as it’s wonderful to hear from happy readers. And if you have time to post a quick review on Amazon, that’s always welcome and hugely helpful. As with my previous two novels, I’m lucky enough to have a blog tour to celebrate publication – and I’m happy to report that it’s the longest one yet. 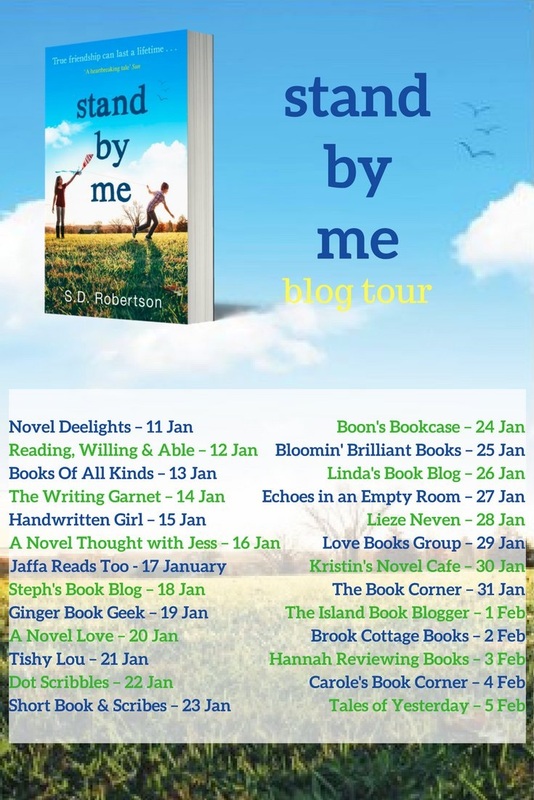 Over the next few weeks, various lovely book bloggers will carry reviews, extracts, Q&As and guest posts. See the picture above for details of where and when. I’d like to take this opportunity to say a big thank-you to all those taking part. Your interest and enthusiasm is very much appreciated.